The virtually invisible aligners are made of a thermoplastic material uniquely developed for your Invisalign treatment plan and look similar to teeth-whitening trays. A series of Invisalign aligners are custom-made for you, to move your teeth in the sequence determined by Dr. Curtis. 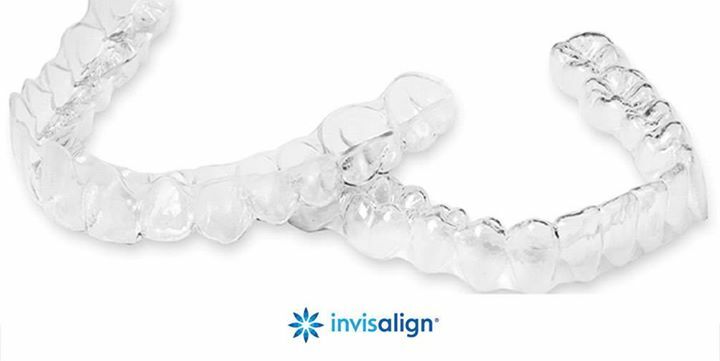 Invisalign SmartTrack aligners or trays are made of medical grade plastic: Multlilayer aromatic thermoplastic polyurethane / copolyester to be exact. Invisalign aligners are classified as Class II medical devices by the FDA, and Align Technology has held the necessary 510K clearance from the FDA since 1998 to be able to sell and market the Invisalign system. The federal standards for medical devices and prescriptions have been met and Invisalign materials are shown to be biocompatible for human use in the oral cavity. Do Invisalign Aligners Contain BPA (Bisphenol A)? No. Invisalign aligners, Vivera Retainers, and attachment templates do not contain Bisphenol-A or phthalate plasticizers.